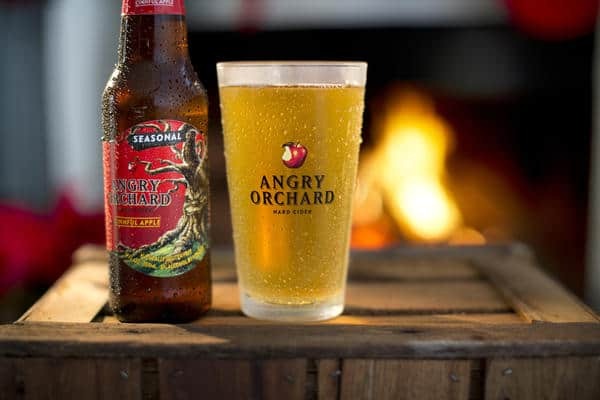 Angry Orchard Hard Cider is getting ready for fall and wants to help you to do the same with its new fall seasonal, Cinnful Apple. Pour ingredients over ice. Stir. 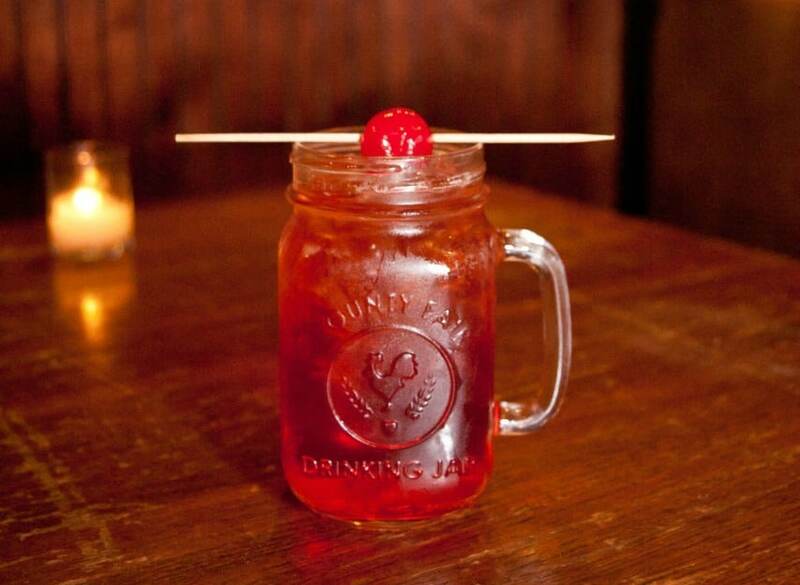 Garnish with stemmed maraschino cherry if desired. Pour 4 oz. 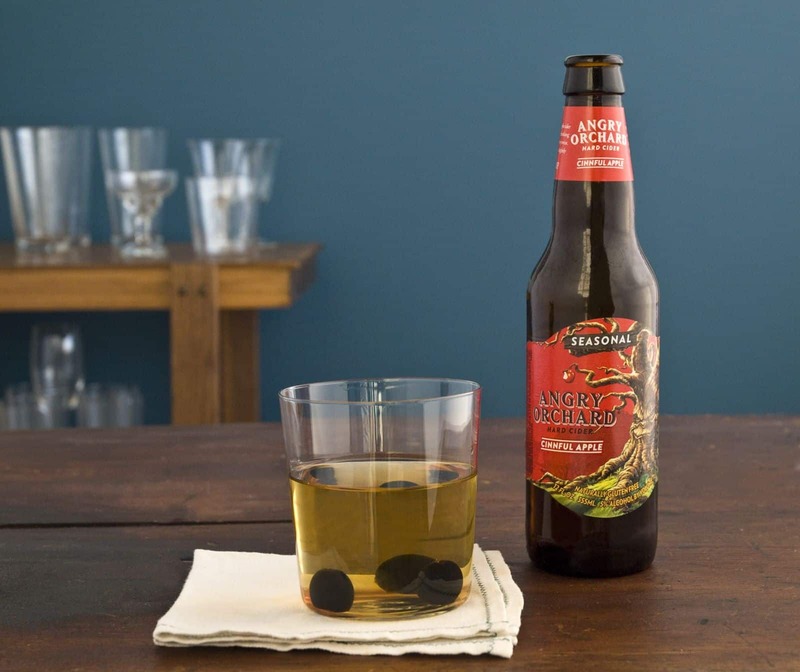 Angry Orchard Cinnful Apple and bourbon over ice in a small mixing glass; stir and strain over ice into rocks glass. Garnish with cherries. If you can’t use brandied cherries, soak fresh ones in sweet vermouth overnight. Really want to get that apple pie taste? Rim the glass with honey and crushed graham crackers before adding the ingredients. Peel the squash, remove the seeds and cut into 3″ chunks. You should have about 4 cups of chunks. Place the squash in a large pot and add enough water to cover the squash completely. Bring to a boil over high heat, reduce the heat to maintain a low boil and cook until the squash is very tender, about 10 minutes. Drain the squash, shaking out all excess water, and puree in a high powered blender until very smooth. Run the puree through a sieve and discard the solids. Measure 2 cups of puree and save the rest for another use. Pour 1/4 cup of the Angry Orchard Cinnful Apple in a small bowl and sprinkle the gelatin over the top. The mixture will bubble a little; stir to soften all of the gelatin. 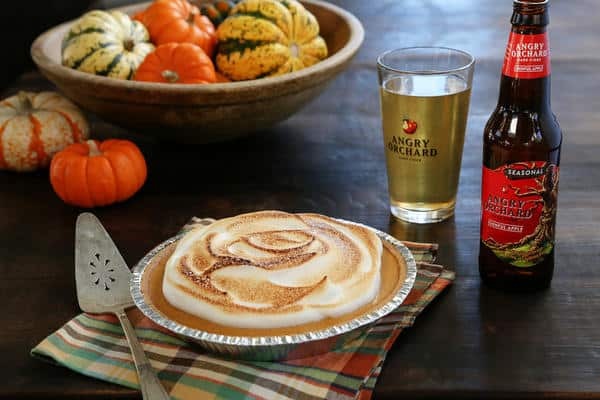 Place the squash puree, cream, remaining 1/4 cup of Angry Orchard Cinnful Apple, salt and nutmeg in a 4 quart pot and place over medium high heat. Bring the mixture almost to a boil, just until bubbles start forming around the edge of the pan. While the squash mixture is heating, beat the yolks and sugar in a large bowl until smooth. Mix some of the hot squash mixture into the yolks to temper them so they won’t scramble and then whisk the tempered yolks into the squash. Return the pot to medium heat and, stirring constantly, cook the mixture until it thickens (this should take about 4–5 minutes). Remove the pot from the heat and stir a little of the warm squash mixture into the gelatin, then stir all of the gelatin into the squash mixture. Stir the mixture until the gelatin is completely dissolved. Strain the mixture again and blend again. All this straining and blending will result in a velvety, creamy pie. Stirring frequently, cool the filling to room temperature. When the filling has cooled to room temperature, fill the pie crust, cover and refrigerate 4 hours or overnight until firm. Place cider in a blender and turn on high; when a vortex/whirlpool forms, add the versa whip to the center and then add the xanthan gum. Remove to a mixer fitted with a whip attachment and whip on high to soft peaks, about the consistency of shaving cream, about 4–6 minutes. To serve, cut a wedge of pie, spoon on a large dollop of the meringue and brulee with a kitchen torch. Heat oven to 400 degrees. 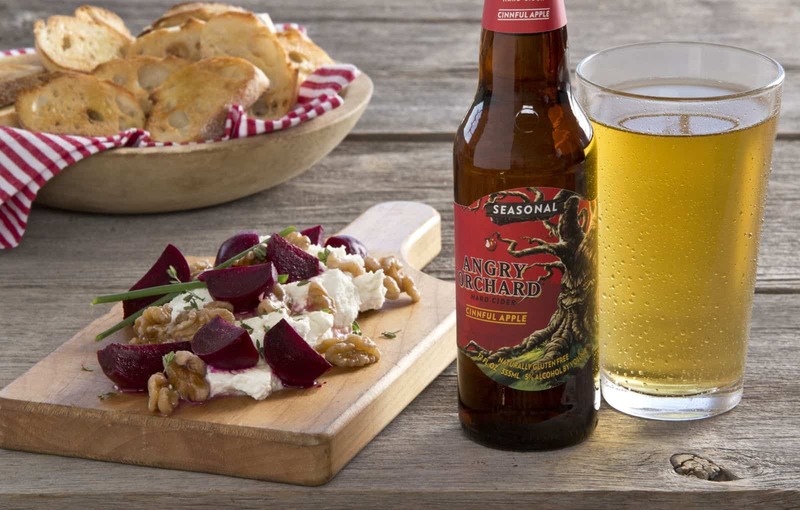 In a baking dish, place beets, and cover with 1 cup Angry Orchard Cinnful Apple and olive oil. Cover tightly with foil and place in oven, and bake until beets are tender, approximately 1 hour. Remove and set aside to cool. In a small bowl, whisk together ¼ cup remaining cider and goat cheese until soft and smooth. In a small saucepan, bring walnuts and remaining cider to a boil, and cook until cider reduces slightly. Turn off heat and set aside. When beets are cool enough to handle, peel off skins (they should slip off easily). Cut into quarters. In a mixing bowl, mix beets, walnuts with cider reduction, goat cheese and herbs (if using). Season to taste and serve.